When Marshall McLuhan first coined the phrases "global village" and "the medium is the message" in 1964, no-one could have predicted today's information-dependent planet. No-one, that is, except for a handful of science fiction writers and Marshall McLuhan. Understanding Media was written twenty years before the PC revolution and thirty years before the rise of the Internet. 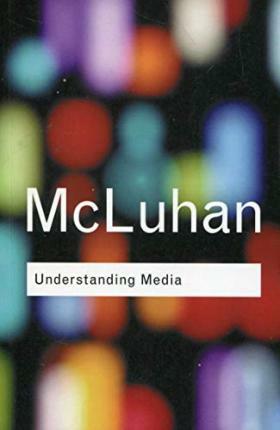 Yet McLuhan's insights into our engagement with a variety of media led to a complete rethinking of our entire society. He believed that the message of electronic media foretold the end of humanity as it was known. In 1964, this looked like the paranoid babblings of a madman. In our twenty-first century digital world, the madman looks quite sane. Understanding Media: the most important book ever written on communication. Ignore its message at your peril. Marshall McLuhan (1911-1980) Communications theorist, born in Canada. He is known as the original "high guru" of media culture and appeared in Woody Allen's Annie Hall as himself.